The Stockport Review will soon be with you! Residents of Stockport, the annual Stockport Review will soon be posted through your letterbox. The Council newspaper will include 20 packed pages of information on everything from Redrock to the Stockport Local Fund plus lots more. You’ll also find your free family voucher to Lyme Park which will allow you free entry to the house and garden for two adults and up to three children. The single use pass can be used throughout the year, excluding bank holiday weekends. Readers will also have the chance to win plenty of prizes to use at Redrock, such as a pair of cinema tickets, a £40 PizzaExpress gift card or a 2-month free gym membership at the Gym Group. Councillor Elise Wilson, Cabinet Member for Reform and Governance said: “This year’s newspaper is jam packed with important information on the regeneration of Stockport, how we’re marking the 100th anniversary of the end of World War 1, Adult education courses along with lots more. 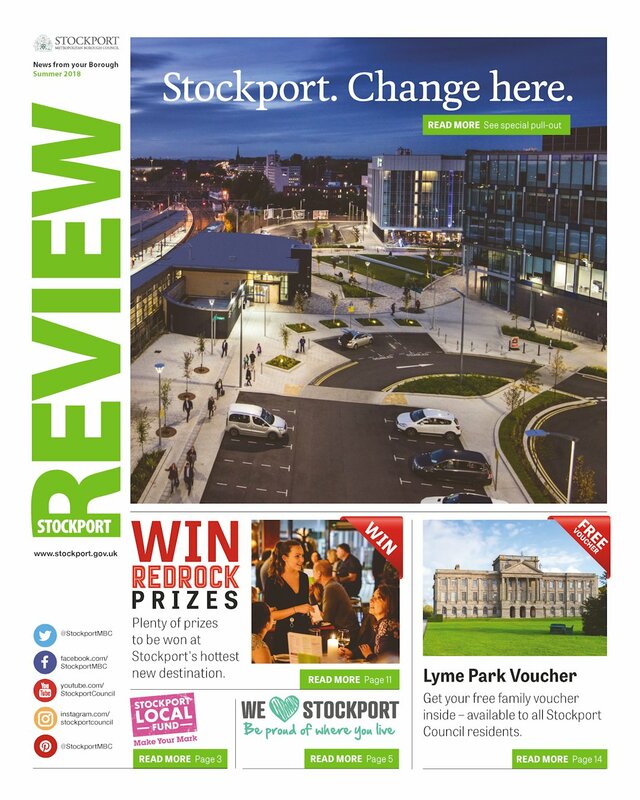 “Keeping residents well-informed is incredibly important to us, so please do keep an eye open for the Stockport Review to make sure you don’t miss out on all of the latest news and events from around the borough."